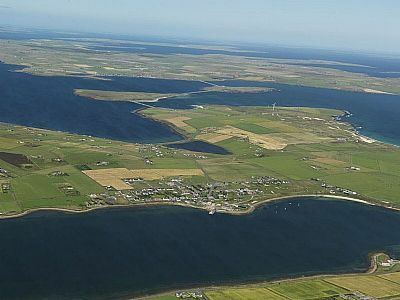 Bounded to the north by Weddel Sound, to the south by Water Sound, with Scapa Flow to the west and the North Sea to the east, Burray is one of the "South Isles" of Orkney. It is linked to the Orkney Mainland by causeways running over the Churchill Barriers and across the small uninhabited islands of Glimps Holm and Lamb Holm. 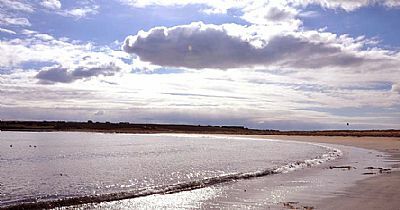 To the south, Burray is linked to South Ronaldsay by No 4 Barrier along the west side of which runs a magnificent beach. This beach has built up from nothing since the building of the barriers and the sand has formed an extensive dune system behind the beach. The economy of the island is largely agricultural, based on beef and dairy cattle and sheep. The better agricultural land is to the east side of the island with the west having more unimproved pasture. The small uninhabited island of Hunda, on the edge of Scapa Flow, is linked to Burray by another causeway. Although the population of Burray reached a peak of 685 in 1881 during the herring boom, it is now around 400. Much of the population live in Burray village which, with its shop and pub, is clustered around the pier. The remaining houses and farms are spread across the rest of the island. To the north of Glimps Holm and Lamb Holm, No 1 Barrier runs over to the Orkney Mainland. It does not always have such a great display of the Merry Dancers behind it though. There is an active community association which is responsible for the Burray Hall and the playpark opposite. 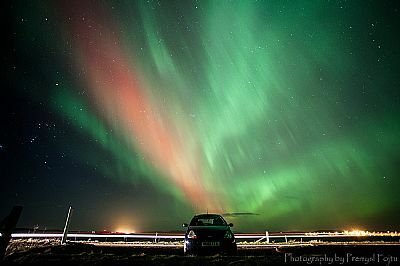 Thanks to Premysl Fojtu, Fiona Smith, Jan Higson Sally Macintosh and Steve Henderson for some of the photographs on this site.